That’s right, Fun with Frosting is officially in stores today! Squee!!!!! 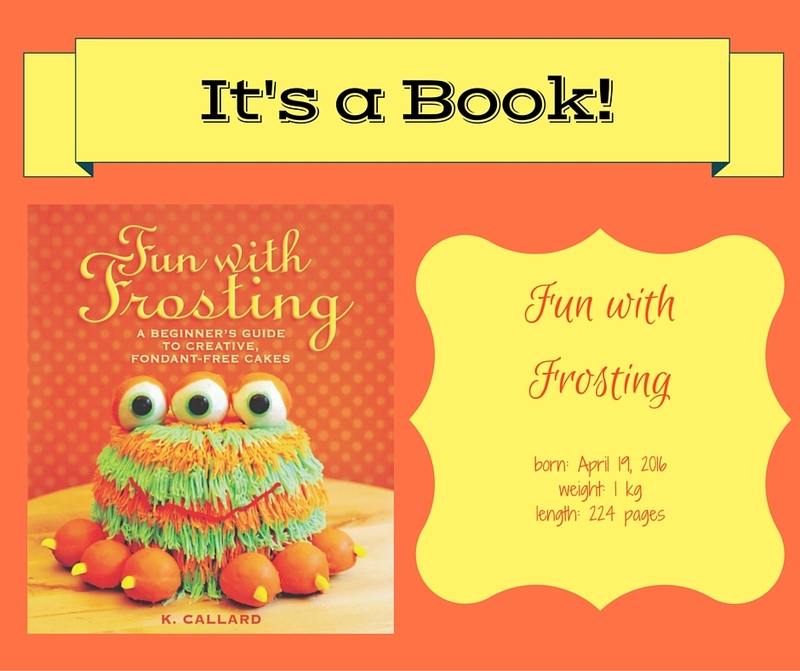 Posted in FUN WITH FROSTING	cake bookcake decorating bookFUN WITH FROSTINGmy book is out! Congratulations K.! It’s great to see your hard work come to fruition. I wish you much success with it. I will be picking up a copy for myself.